On 19 December 2014 I gave a talk at the University of Turin about my project and the use of stable isotope techniques in Archaeology.Students and researchers of the Department of Life Sciences and Systems Biology were present and gave very interesting feedback on the presentation. The students were particularly interested in how isotopes can give information on weaning practices in the past! This is a popular topic within stable isotope analysis and it is also one of the aspects that easily fascinates the general public. The assessment of the end of the breastfeeding period and the start of weaning can be performed thanks to the analysis of the level of Nitrogen (δ15N). Children that have been breastfed display higher values of δ15N than their mothers. This is due to a phenomenon called the trophic level effect (Schoeninger and DeNiro1984, Richards et. Al 2002). Essentially every time a predator eats its prey its level of δ15N will increase , moving one step up the food chain. Let’s give another example: If an individual eats the meat of a predator that has eaten its prey, our individual will go two steps up the food chain and show double the value of the prey’s δ15N level. Now comes the curious part. When babies are breastfed they are actually consuming their mothers’ milk, which is to all effects a human tissue. Therefore their level of δ15N will be enriched compared to their mothers as if they were a bunch of little cannibals. For some reason people always find this aspect quite entertaining! At the end of the talk there was also some space for questions and while some of them were relating to specific issues regarding the project, I received a lot of questions about the Networks and the White Rose Consortium. Several students were curious about the application process and the experience of studying within the White Rose and at the University of York. On a side note, a rather popular question is always related to food and how can an Italians survive outside Italy. A lot of curious, bright minds in Turin! It was indeed a very good experience even though whenever I go back to Italy it usually takes one week to get back to my fluency in Italian and I always have trouble translating specific words that I learned just in English. One funny example: I kept saying Nitrogeno for most of the presentation as taking the English word Nitrogen and putting an “o” at the end to make it sound Italian. Just to let you know this word does not exist and the correct one is Azoto. I would like to thank Dr. Rosa Boano and her collaborators who organised the event and gave me a warm welcome. I met Dr. Rosa Boano in 2012, right after handing in my Master dissertation at Durham University. I’ve done a bit of volunteering in her Anthropology Lab and a few months later she kindly asked me to give a seminar to her students about my Master project. It was indeed my first experience as a speaker to undergraduate students but I highly enjoyed it and I am always happy to go back. Turin also plays a big part in it of course! 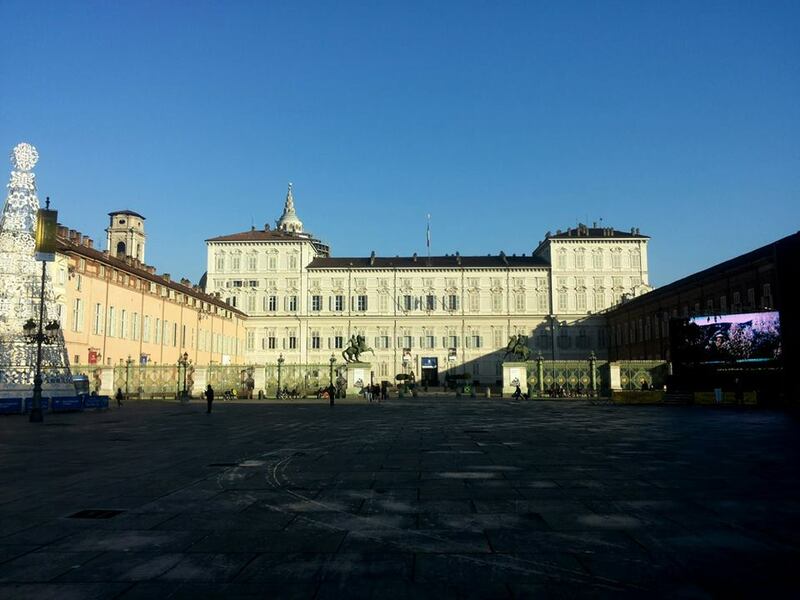 For those of you who have never been to Turin, I took a sneaky picture of the Royal Palace. Definitely worth a visit! Richards MP, Mays S, Fuller BT. 2002. Stable Carbon and Nitrogen isotope values of bone and teeth reflect weaning age at the medieval Wharram Percy site, Yorkshire, UK. Am J Phys Anthropol 119: 205–210, 2002.